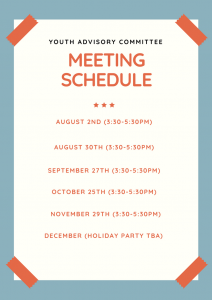 The Montgomery County Women’s Center Youth Advisory Committee (YAC) started in 2017. MCWC acknowledges that youth are experts in their own lives and are key in developing solutions to the health issues in their lives. The primary function of the YAC is to recognize youth as valuable stakeholders and included them in the development, implementation, and evaluation of programming that our agency is delivering in schools and in the community. Youth receive volunteer hours for their participation in the committee. Hours are gained by attending meetings, planning and hosting events, hosting online social media takeovers, assisting MCWC staff at community events, attending workshops, etc. Recommendation letters can be written for committee members at their request, outlining the work they have done with the committee and the total number of hours they have participated in the committee. Programming/ Workshops to help youth learn more about relationship violence, root causes of violence, promoting healthy relationship behaviors, violence prevention, etc. Youth will assist in reviewing and critiquing current programming that the Outreach Team is implementing. Ideas from the youth for improvements will be noted and worked into existing programming. The committee is open to all high school and college students. If you are interested in joining the Youth Advisory Committee, please click here to fill out the SURVEY. 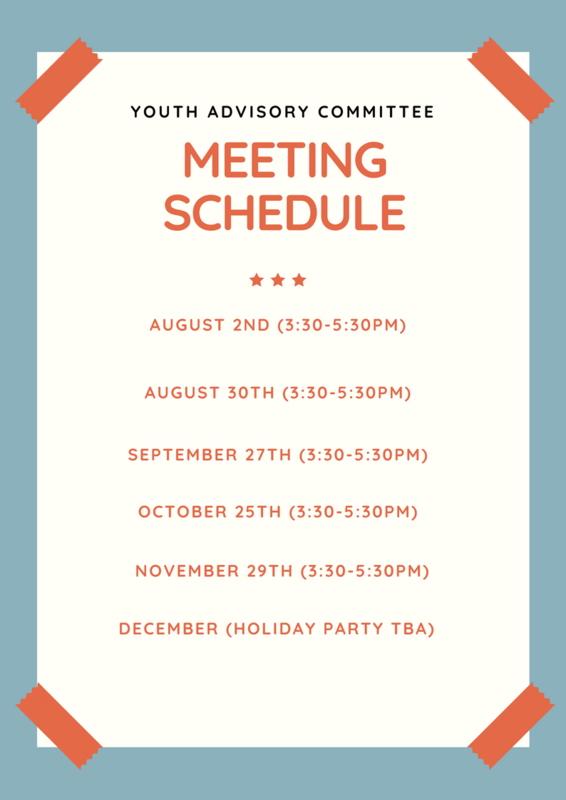 Meetings are held at the Montgomery County United Way building (1600 Lake Front Circle, Woodlands 77380).